The Airbus A380F is a 3-deck, long range freighter able to carry payloads of 150- It was a resultant from the Airbus A380-800 Superjumbo high seating capacity airliner. The aircraft unique layout will bring new efficiency standards to the cargo aircraft market. 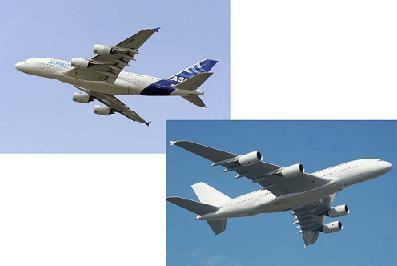 Airbus A380F Freighter 1st metal cut happened April of 2005 at Airbus' site in Nantes, France.